Cells are highly organized entities that come in many shapes and sizes. This variability allows different cell types to carry out specialized functions, such as transmitting nerve signals, fighting infections and forming protective barriers. Cellular organization relies on intricate and deeply conserved molecular addressing systems that control the sorting of molecules to specific subcellular destinations. Our laboratory seeks to understand how RNA molecules, key conveyers of genetic information and multitasking players in gene expression control, are dispatched to different areas of the cell to fulfill their functions. Our projects aim to elucidate the normal functions of RNA trafficking in the maintenance of genome stability and cell polarity, and how disruption of these pathways can contribute to the aetiology of diseases, such as cancer and neuromuscular disorders. 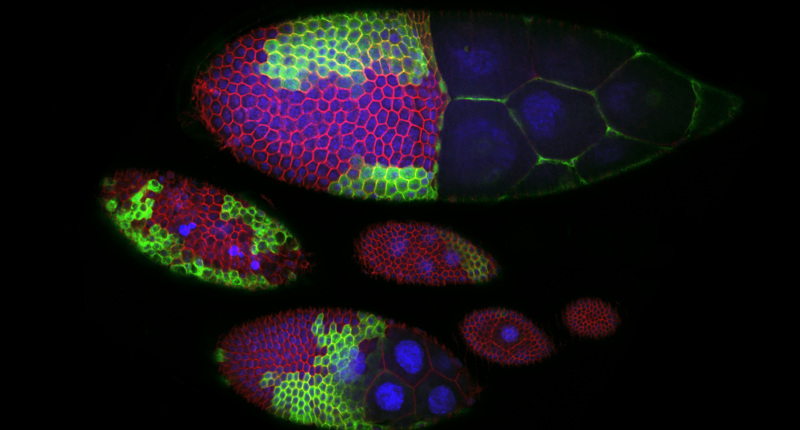 For this work, we combine the versatility of Drosophila genetics with high-throughput molecular imaging and functional genomics approaches in fly and human cellular models.